Book Thursdays: Water Princess, Fire Prince Cover Reveal + Author Interview! I am so excited for today everyone! It is the cover reveal for a spectacular book coming in August. 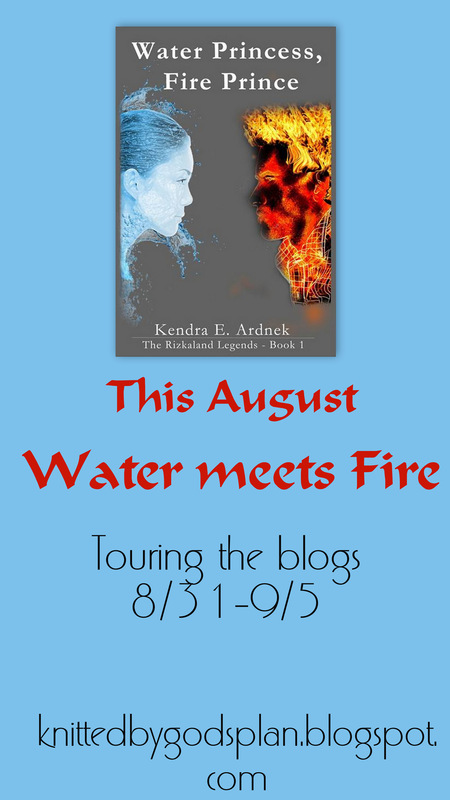 Today’s cover reveal is for Water Princess, Fire Prince, written by Kendra E. Ardnek! This book is…oh my word, absolutely fantastic. Spectacular. I’m speechless, guys. *dies* It’s t.o.t.a.l.l.y. up there with my favorites. I’ll review it in August, so I can’t say any more now. But oh…how lovely of a story this is. Why don’t you read the description and previews for yourself and whet your appetite a little bit? Kendra, what was your favorite part about writing this book? Ooh … that’s a difficult question, because this was such a fun book to write, any angle you look at it. The characters sparkled with such wit, and each bounced of each other perfectly. The plot twisted and turned with some of the best plot twists I’ve ever written. Clara and Andrew are one of my favorite romances that I’ve ever written. However, I think the world of Rizkaland itself wins out as my favorite part of the story. I’ve been building Rizkaland for several years, and it’s gone through many changes (Even down to it’s name – it was originally Arcaland), but of all my worlds, it’s the richest, and I know it best. What authors have you found the most inspiration from in your writing? Tolkien: He was my first big introduction to fantasy (and fanfiction…) and for that, I’m eternally grateful. C.S. Lewis: Rizkaland would probably not exist if it weren’t for Narnia. I’d been playing around in my Shire-inspired Rowa for a couple years when the LWW movie came out and I, dissatisfied with how it came out, purposed in my heart to write a better, “more accurate” version. Gail Carson Levine: When I’m not writing intense portal fantasy like Rizkaland, you can usually find me working on my fairy tale retelling series, The Bookania Quests. 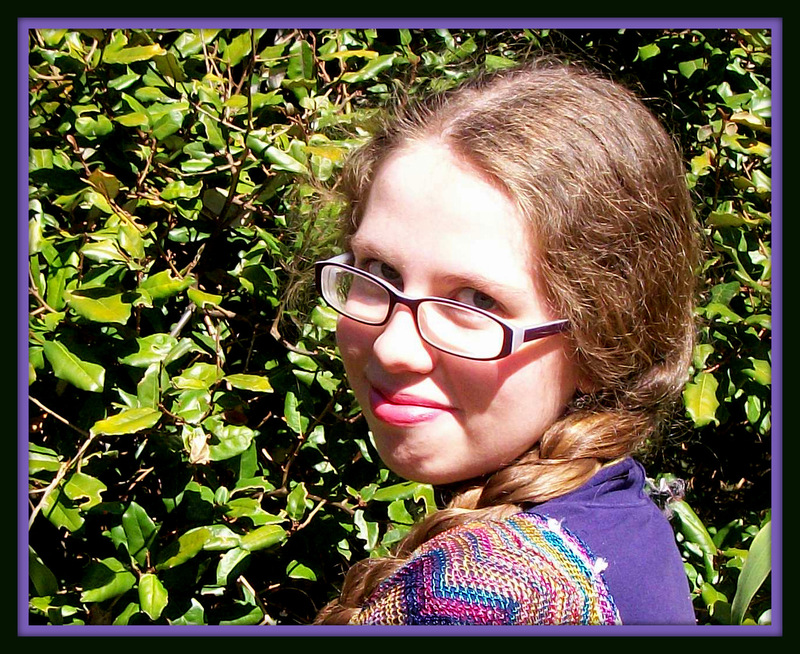 Levine’s Ella Enchanted helped me through a difficult period of my life, and it taught me the magic of retellings. I can definitely see those influences in Water Princess, Fire Prince. I love those books/series. 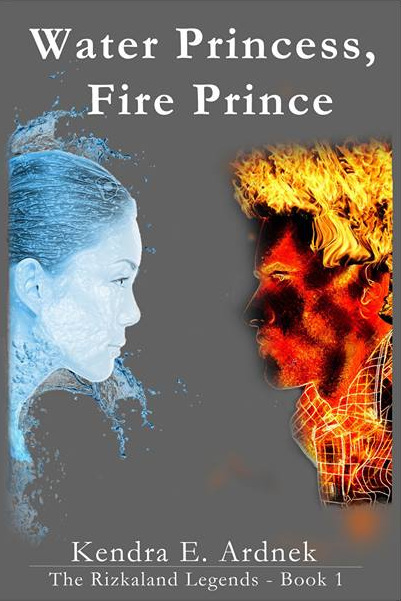 Who do you think the ideal reader for Water Princess, Fire Prince would be? Okay, I’ll get serious here. WPFP was written for girls (and perhaps boys?) who grew up on Narnia, but now want a more mature story. It’s for those who want a clean, but deep romance. It’s for those who want to explore new worlds, and know that the dragons can be beaten, because God is still in control. Sounds like you wrote Water Princess, Fire Prince specifically for me! 🙂 Okay, perhaps not, but I know that the story resonated with me deeply. It is such a fun and yet mature story, and I’m so glad I get to be a part of the reveal! Thank you, Kendra, for being with all of us here today and answering my questions! Please, please, PLEASE check out this book. It’s one of those books that cries out, “I-could-have-my-own-display-at-Barnes-and-Noble” kind of books. Still not convinced? Well then, preorder it today for less than $3 and experience the fantastical world of Rizkaland for yourself! Awesome! I got to beta read some of it (but school got in the way of reading the rest 😦 ). Can’t wait to read it and see your review! It’s soooo good, isn’t it? I’d say I was an ideal reader too, even though my favorite color isn’t blue, I didn’t really ever love the Nutcracker, and my name isn’t Amanda. 🙂 But I did do gymnastics when I was little and my hair used to be blonde. Thank-you for taking part in the cover reveal. Actually, I wrote the book for me. Wonderful fun. And that cover!! I just want to shove their heads together and make them kiss. Ya feel me? Previous PostPrevious Book Thursdays: Cover Reveal Coming Up!